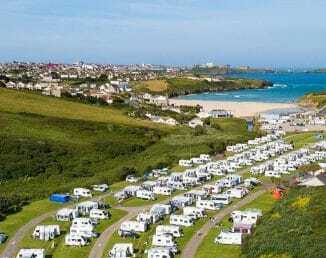 Porth Beach Holiday Park is pleased to announce that our chosen charity of the year is Help Izzy Walk. Five-year-old Izzy Pearce has been battling the effects of cerebral palsy spastic diplegia since she was born. The condition affects the muscles in her legs, leaving her in pain and unable to walk or stand unaided. Izzy’s parents, Mike and Ursula, want to do all they can to improve Izzy’s quality of life as she grows up but fear that without an operation she could be wheelchair bound for the rest of her life. But there is hope on the horizon! The family have been told that an operation could change her life – however, the procedure is not currently available on the NHS. The surgery, known as selective dorsal rhizotomy (SDR), is available in America – but it is likely to cost around £80,000, including rehab and physio equipment. Mike and Ursula have launched a campaign to raise the money they need for Izzy’s surgery, setting up a Facebook page and Just Giving Pages – and we here at Porth Beach want to help them raise as much money as possible! And you can help too! We’ve added a section to our on-line booking pages that allows you to make a small donation when you pay for your holiday with us – just follow the simple instructions when you go through the booking process. There will also be collection tins in our reception where you can donate. Izzy’s parents are raising the funds through the charity Just4Children, and have launched an online fundraising campaign called Help Izzy Walk. The money raised will pay for surgery, travel and accommodation costs, intensive post-operation rehabilitation physiotherapy, and equipment to build a mini home gym. 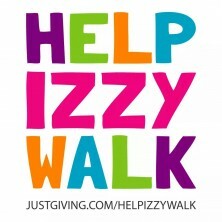 If you want to make your own donation to Izzy’s cause, visit their fundraising page here or for details on Izzy’s progress, search for ‘Help Izzy Walk’ on Facebook.